Importance of Sunday Astrology, Sunday totkay, best ways to make Sunday lucky, what to do on ravivaar to bring success? One of the best demanding day for the working people is Sunday or ravivaar. This is a picnic day, this is a masti day, this is a free day to do the work of desires. This is a day to refresh our self and regain the energy for next week. Sun rules the Sunday and is the best day to perform surya pooja, surya daan. Sun is the planet of name, fame, romance, knowledge, travelling etc. Many important works can be done on this day to make our life better But travelling towards West direction is prohibited as per vedic astrology. So it is good to avoid travelling towards West direction on Sunday. 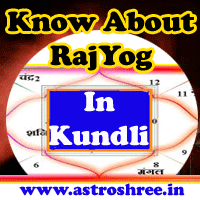 Don't start any work on this day if your Sun is malefic or bad in kundli or horoscope. If you are not getting job then do utara with lemon and throw it on any chouraha in the afternoon of Sunday. Ruby stone if worn on this day then it is lucky and give power to the person. To remove the foreign tour problem it is good to offer the coconut water to lord sun and then pray to god. Distribute the coconut as a prsaad. Sunday is the best day to start the surya shanti pooja. If you want to rock in life then do use ravivaar to make your life better, strong and wonderful. Know the position of Sun in your horoscope by taking the best astrology services of ASTROSHREE.